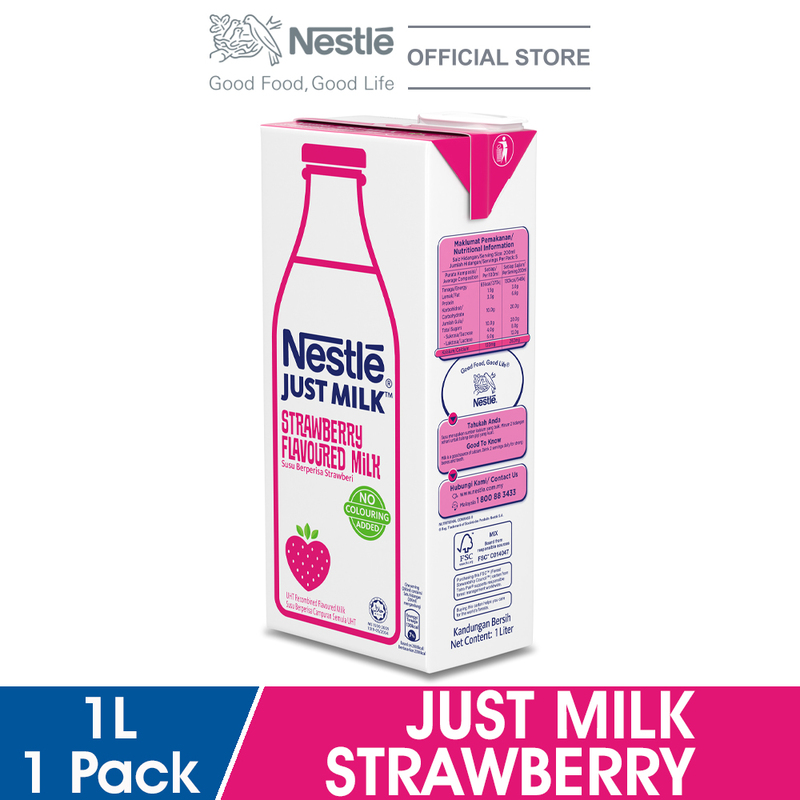 With 100% imported ingredients, NESTLE JUST MILK Strawberry contains natural goodness of calcium and protein in every drop to support the development of your strong bones, teeth and muscle growth. It is also gently processed to preserve all the natural goodness. Each 1 litre pack has 5 servings, so enjoy it with your favourite breakfast cereal, in your smoothie or just on its own!